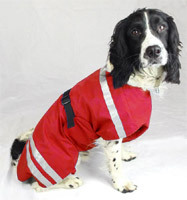 Red only available in sizes 1-4. 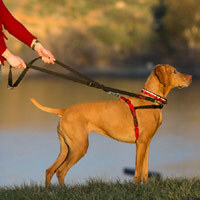 One of the biggest behavioural complaints by dog owners is that their dog pulls on the lead. But how do we take control of the pulling issue? 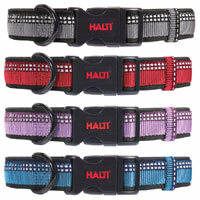 Look no further than Halti. A market leader for over 35 years in the development of innovative dog training aids, The Company of Animals created the original Halti Headcollar back in 1979. 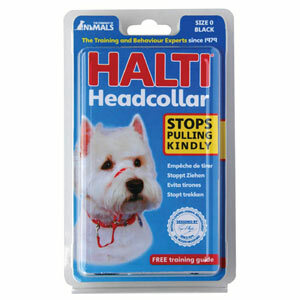 Halti Headcollars work by guiding the dog from the head, enabling you to control the direction they move in. 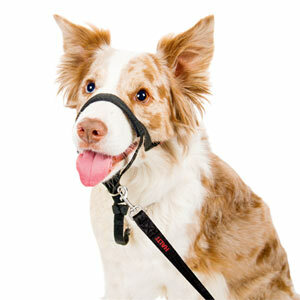 Its unique patented design is a highly effective but gentle way to stop your dog pulling on the lead. 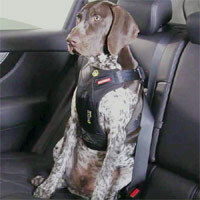 By gently steering you dog's head in the direction you want them to go, the body will follow. 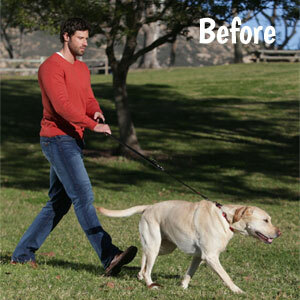 Practical, strong and comfortable, you should see an immediate change in your dog's on-lead behaviour. 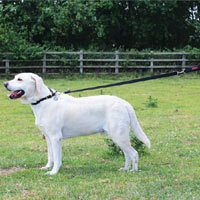 Surging forwards is no longer productive and your dog will have to walk sensibly to go in a forwards direction. Genius. 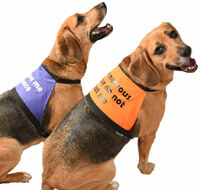 Approved by vets and recommended by canine experts worldwide. 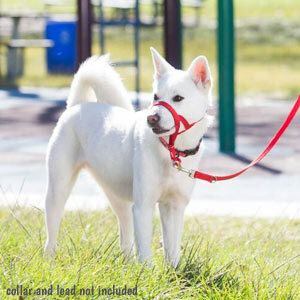 Team the headcollar with your dog's own collar or harness via a double clip (double ended) training lead for added security, extra steering and ultimate control. 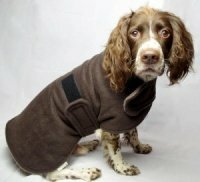 It boasts the usual high quality and expert design you expect from The Company of Animals products. 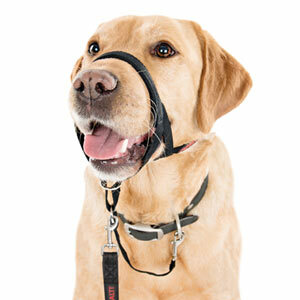 The nose band lies away from the eyes and features a padded lining for comfort. 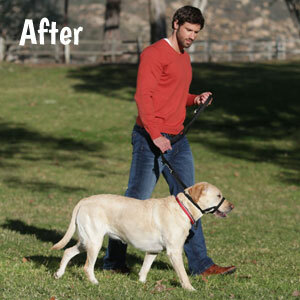 Your dog is still able to pant, drink or eat freely. 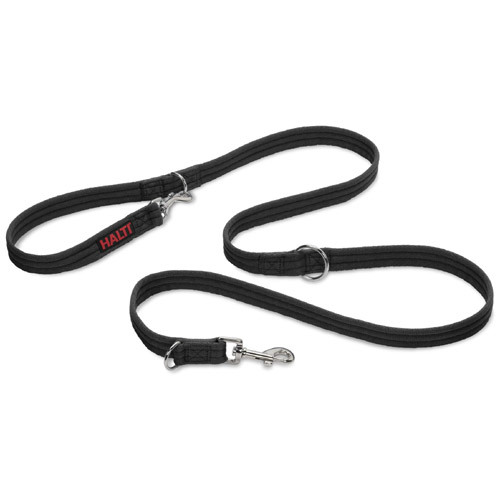 There is also a safety clip so it can be connected to your dog's collar for extra security. 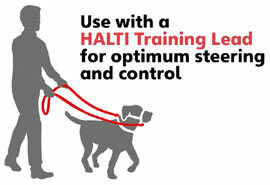 And once your dog has been trained not to pull using the Halti Training range, you can move on to the regular Halti Walking range. 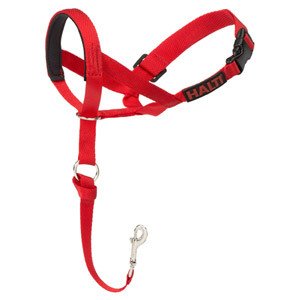 The Halti Stop Pulling range provides a comprehensive set of dog walking control solutions including headcollars, harnesses and training leads. 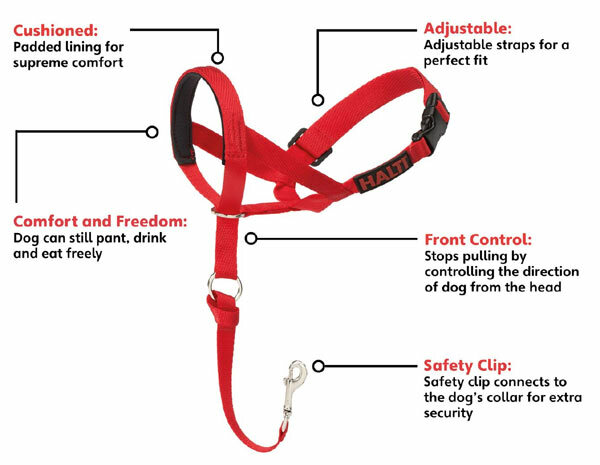 If your dog can't or won't wear a headcollar, take a look at Halti's revolutionary new Stop Pulling Harness.